Blue Raster developed and launched a new mobile application for The United States National Arboretum, giving scientists and visitors a unique experience and new way of exploring the research grounds. The National Arboretum is a division of USDA’s Agricultural Research Service (ARS), the main in-house research arm of USDA. 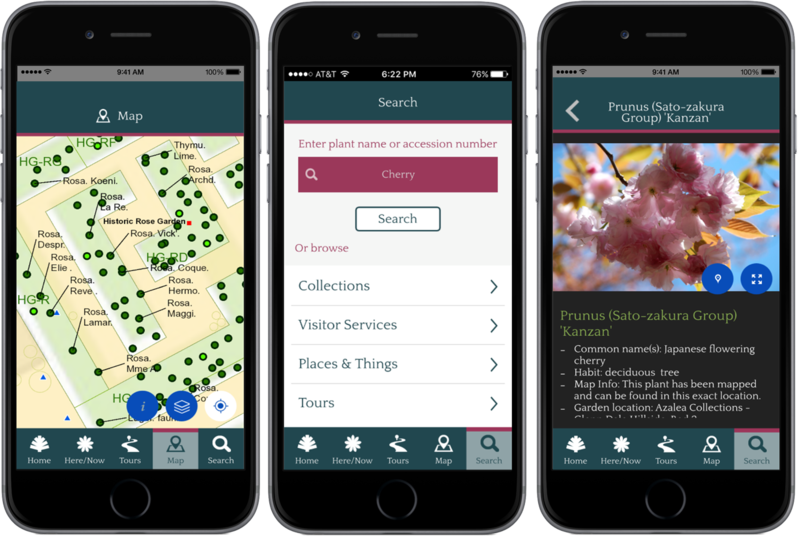 This mobile app for Apple and Android builds off of the online Botanical Explorer tool (ABE) released in 2012. One of Washington, D.C’s hidden treasures, the National Arboretum receives over 500,000 visitors annually. Covering over 440 acres and 9.5 miles of roads, the National Arboretum is a living museum and center for major botanical research and public education. Built using Esri’s AppStudio for ArcGIS, the application is available for free download in the iTunes and Google Play stores. The mobile app allows users to locate themselves on the grounds, easily find information about ongoing exhibits, as well as locate visitor services such as parking, restrooms and water fountains. Roam the grounds freely or take advantage of many pre-defined tours sized just right for the time you have, complete with individual stops, photos and descriptions. For those looking to dig even deeper, individual plants records are displayed on the map and searchable by Name or Accession Number, and extensive scientific data are included for much of the collection. 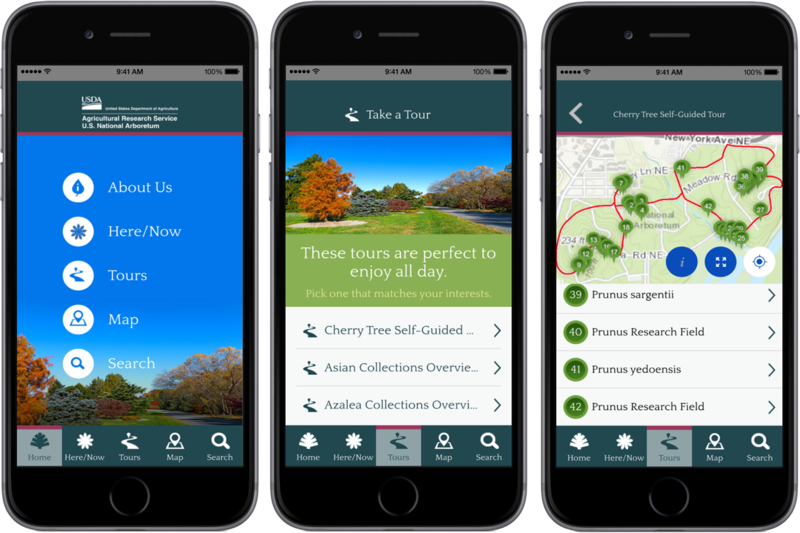 Whether an avid explorer, a researcher or a first-time visitor, this interactive mobile application goes beyond the paper map to offer a unique experience for all users to investigate and learn more about the Arboretum than ever before.